The PILLAR BUTTRESS is one of the highest, most remote formations and is accessible less than 3 months per year because of heavy snowpack, falling rock and quick onset of heavy weather. Only 3 lines exist here at present on the major column, the “Petite Marie”. 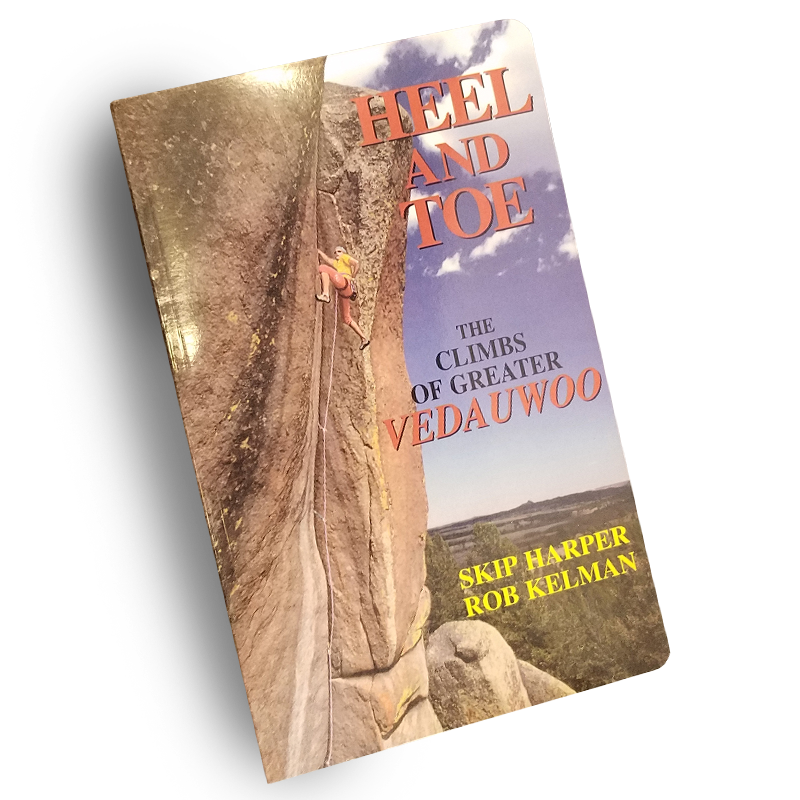 It is wild up here, and more route potential definitely exists! 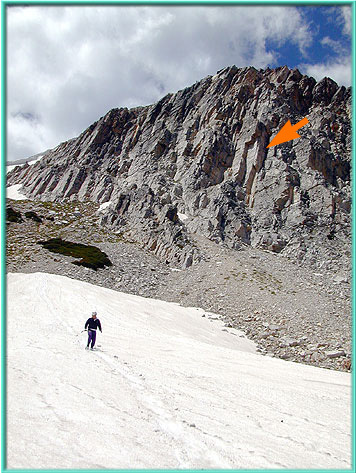 Photo #1 (left) is a closer view of the formation – the arrow points to “Petite Marie”, the largest, easternmost pillar (Photo: Jeff Flake en glissade). PHOTO 2 (thanks to Jeff Flake) is yours truly two easy ‘approach pitches’ up “Petite Marie” at an approximate elevation of 11,300′. 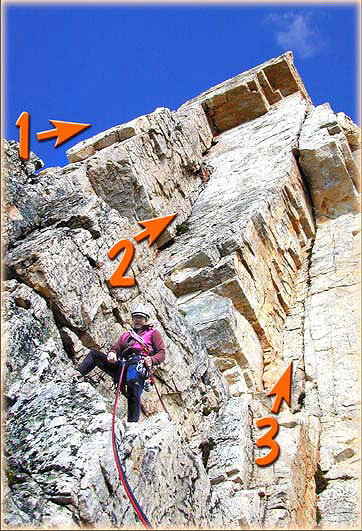 *NOTE: Three lines continue from this belay as indicated. PHOTO 3, in the next ‘slide show’ box, is taken from the top of the entire formation looking straight down towards the base of the columns and shows the entire 4 pitches up the columns and the suggested exit.